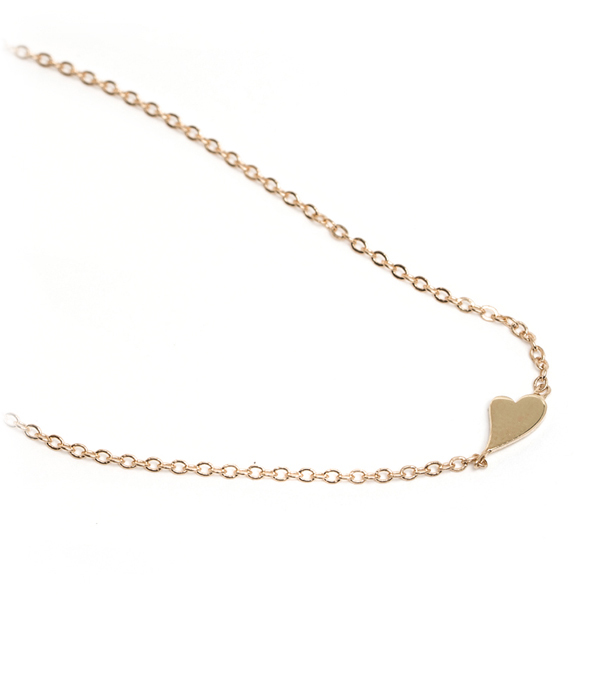 Oh so petite and sweet, this tiny golden heart bracelet is one of the cutest layering bracelets (ever). Set sideways on a shimmering gold chain this barely-there piece is a beautiful way to say "I like you!" We think this charming bracelet makes a whimsical everyday piece that is easy to pair with your Sofia Kaman statement pieces and adds just enough sparkle to your daily coffee run. Layer this delicate bracelet with other talismans to create a secret love letter to a best friend or cherished one. 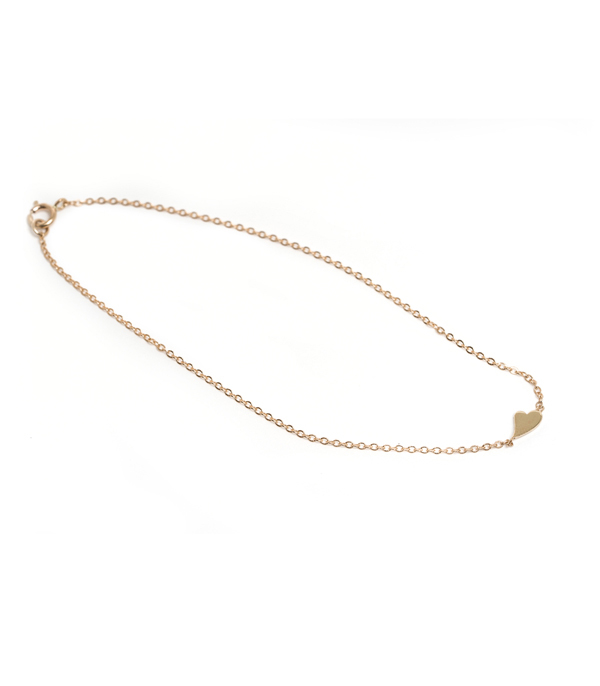 This charming 14K gold layering bracelet features a 7 inch chain, and is hand made by our artisan jewelers in Los Angeles. Categories: Bracelets, Charming, Vintage Dreamer.